A few months ago, the Times Literary Supplement reported on the curious case of A.D. Harvey, who was unmasked as a serial creator of false personae who collectively had created a self-perpetuating network of literary fraud, of course all Harvey himself, until the false story of a meeting between Dickens and Dostoyevsky was unmasked and, with it, Harvey himself. Now, this week, the Guardian interviews Harvey, giving a fascinating glimpse into the sort of person who would spend decades creating false identities and fictitious scholarship. Some of my readers who are keen on cryptography have probably already seen this article in Wired, discussing the fascinating Kryptos Sculpture and its secret decipherment by the NSA years before its official CIA decipherment. The Kryptos Sculpture is one of those things that, in the absence of context, would clearly cause Phaistos 0r Voynich-level excitement in future decipherers. Not to leave my typography buffs out in the cold, this week the news has been going around about Paul Mathis, the Australian restaurateur who has created a new letter of the alphabet, a logogram ‘Ћ’ for the word ‘the’ to parallel & for ‘and’, at the cost of $38,000. Alas, I don’t see this one catching on, even though the sign already exists in most character sets as a Cyrillic character. I just want to know what costs $38,000 to develop an already-existing character. The always-fascinating Language Log has a post this week about the fascinating Potosí miners’ language, a mixed language of Spanish, Quechua and Aymara used from the 16th century to this day by miners in central Bolivia. The survival of this fascinating variety is highly dependent on the continuity of traditional mining practices and a multiethnic speech community. For those of you who have a PhD or are in a doctoral program, you may want to check out this visualization of the lengths of dissertations at the University of Minnesota. My field, anthropology, is second-longest (after history) and has the widest range of any discipline, unsurprisingly in a discipline that spans both natural science and humanities. As for me? My dissertation checks in at 663 pages and is an extreme outlier in any field. Woohoo! You may have heard this week that J.K. Rowling, the author of the blockbuster Harry Potter series, was unmasked this week as the author of a crime novel, The Cuckoo’s Calling, published under the name of Robert Galbraith. While some of the evidence leading to the break was ordinary sleuthing, there’s a neat discussion in Ben Zimmer’s column in the Wall Street Journal of the role of forensic stylometry, or the linguistic analysis of texts to ascertain authorship, in confirming and breaking the story, with a complementary essay at Language Log by Patrick Juola, who did the analysis, of the science underlying it. I was so very pleased to see the first post in nearly a year over at the philology blog, Stæfcræft & Vyākaraṇa. And this one is great – a historical linguistic analysis of the Finnish expletive used by Linux developer Linus Torvalds, with digressions into Indo-European mythology. I hate to disagree, with Torvalds, though: there certainly are enough swear words in English, although the Finnish ones sure are fun too! Stephen Houston and Alexandre Tokovinine write over at the Maya Decipherment blog about some newly-analyzed earspools and a hair ornament bearing Maya glyphs. It’s a shame to not have any provenance on these, part of the great tragedy that is looting in Mayan archaeology, but fascinating nonetheless to see Maya writing outside of monuments and codices, in a decorative context. Lastly, Stefan Fatsis, the author of Word Freak and general expert on Scrabble, writes this week in the New York Times about the decision by Hasbro to fold the National Scrabble Association, effectively ending its sponsorship of competitive Scrabble. While the immediate effect may be slight – Hasbro’s commitment has been waning for several years and the independent NASPA is going strong, as far as I know – it’s sad to see the abdication of responsibility among game manufacturers for the cultures that keep them vibrant. I’m going to try to post groupings of short news pieces on a weekly or biweekly basis. You may have already seen some of these if you follow me on Twitter. Serendipitously, shortly after I posted about numerical copyediting and told my story about Indian English numerals, Toyota announced that it is abandoning its longstanding practice of using Japanese English numerals in favour of international (read: American) ‘million’ and ‘billion’. Japanese-influenced English uses multiples of 10,000 and 10 million, like the Japanese language, so that what Americans write as one million is “100 ten-thousands” instead. From the Independent: a collection of some of the most highbrow jokes in the world. #8 and #19 are my favourites, for reasons that will be evident, but there are lots of language-related ones. Although, to be semantically particular, I think that many of these jokes are ‘nerdish’ rather than ‘highbrow’, strictly speaking. Over at the Doing Good Science blog at Scientific American, there’s a very interesting post on disrespect and sexism in science journalism. Here’s a tip: when writing about a conference, it’s not cool to refer to women (but not men) by first-name only, and don’t go out of your way to mention the physical appearance of women (but not men). Has useful tips for how to respond to such incidents when they happen. Although I object to describing it as ‘tuition free’, it’s very interesting that the Oregon legislature has unanimously passed a law to allow students to initially attend state institutions without paying tuition, and then pay 3% of their earnings for the next 24 years after graduation. This has lots of potential problems but has worked well in Australia and elsewhere. Perhaps the most surprising is that Democrats and Republicans in the legislature could unanimously agree on anything! Ronald Kephart, who also blogs at The Cranky Linguist, has a nice pedagogical essay at Anthropology News on Illustrating science through language. Linguistic anthropology sometimes gets a bum rap as being all mushy, and Kephart shows how to add rigour and critical analysis to students’ toolkits when thinking about language and culture. There’s an interesting piece on so-called ‘helicopter parents’ over at CNN.com, whose over-attentiveness to their adult children in academia or in employment causes negative repercussions. I have to say – and maybe this is a function of where I work – that while I have had one or two parents call or come for a meeting regarding their child’s graduate education, I have not found this to be a big problem at Wayne State. Over at Tenth Letter of the Alphabet, there’s a very interesting post for typography geeks and SF geeks (highly overlapping sets, to be sure) on the history of the STAR WARS logo. Over the past week, I’ve been watching Episodes IV and V with my son, who is eight and hasn’t seen them before (we’re watching them in Machete Order), so it’s been on my mind. Finally, there’s a thoughtful (if somewhat gloomy) essay at the Chronicle of Higher Education on attrition in PhD programs. As the graduate director of a mid-sized social sciences program, I often have reason to think about this. Just about the only thing everyone agrees on is that 0% attrition is too low and 100% is too high – but what is appropriate? The essay led me to the PhD Completion Project, which has a ton of interesting quantitative information on PhD completion and attrition rates across multiple institutions, along with policy recommendations. Tomorrow night (May 5) at 8 / 11pm on the Discovery Channel, the episode of the new show ‘Weird or What‘ featuring yours truly commenting on the Voynich Manuscript will be showing to US audiences. Unfortunately, not being a US audience, I and my maple-loving brethren will have to wait for the summer, but if you want to accumulate blackmail material on me while learning (hopefully) about this enigma, tune in (and those of you with Tivo … let me know). On the plus side, apparently the non-US versions of the show are hosted by none other than William Shatner, while the US version is hosted by … nobody? I haven’t seen my contribution (which is just a piece of the Voynich segment, which is just a piece of the episode with the overall title ‘Cocaine Mummies’) – it’ll be interesting to see to what extent my skepticism comes through. Let me know how it goes! In his new book, Numerical Notation: A Comparative History (Cambridge, 2010), Stephen Chrisomalis presents a linguistic, cognitive, and anthropological history of written numeral systems, comparing over 100 different systems used over the past 5,500 years. He invites members of the community of scholars and the public to join him for this book launch and luncheon. In this lecture, Dr. Chrisomalis aims his work on numerals at the heart of anthropological theory, seeking to refigure thinking about historical processes in the social sciences. As the integrative core of the social sciences, anthropology has an obligation to compare processes of change across time and space. The richness and time-depth of the evidence in Numerical Notation stand in opposition to narrower visions of anthropology as the study of contemporary life. Montgomery McFate, Ph.D., J. D.
Friday, December 12, at 4 p.m.
Refreshments to follow the presentation. Montgomery McFate is a cultural anthropologist who works on defense and national security issues and is currently the Senior Social Scientist for the U.S. Army’s Human Terrain System (HTS). The U.S. Army developed HTS to study social groups, currently in Iraq and Afghanistan, by using anthropologists to provide military commanders with information about the population in order to help reduce military and civilian conflict. This lecture tries to put HTS in context, by describing the transformation that has occurred within the Department of Defense over the past few years, of which HTS is a small, but significant part. To say that Dr. McFate is a controversial figure in anthropological circles would be a gross understatement, not only because of her current work but her past association with her mother’s security firm. The circumstances under which the HTS does its work in conjunction with direct military objectives raises enormous ethical issues, and I have grave misgivings about the way in which this sort of work has been done in the past and the present. Does she nonetheless deserve a hearing? Yes, of course: the sort of skeptical, rigorous attention to which any scholar’s work must be subjected. I am pleased that my institution will be hosting her talk, and I plan to be there. Over the past couple of weeks there have been a number of news stories about the discovery of a new ostracon (pottery shard) from the site of Khirbet Qeiyafa southwest of Jerusalem, bearing five lines of text that have been identified as ‘Hebrew’. The ostracon was dated (through association with burnt olive pits that could be radiocarbon dated) to around 1050-970 BCE, right around where the traditional timeline puts the Biblical King David. The site is a large fortified urban one, and is located in the Valley of Elah, where it is said that David slew Goliath. If the date holds, and if the claim that this is ‘Hebrew’ writing is confirmed, then this would represent the earliest Hebrew writing known to date. As a teacher I’ve often found it useful to present news reports to students, and ask them how they would evaluate evidence like this in light of what they already know, or to ask what further questions they would want answered before being satisfied. Because most of us (including most scholars) never go any further than the news reports, and because these reports often precede by months or even years the publication of peer-reviewed material, it’s vital to be able to evaluate this material in terms of its implications for archaeology and epigraphy. So what do we know, and how do we evaluate it? – There are no published results yet, but that’s not unusual in ancient Near Eastern archaeology, which has a fairly conservative perspective on the pace of peer review, but this is a situation where one could get scooped at any moment, so announcing a find early, to be followed up by potentially years of peer review, is not unusual in this area. – Dating by association is a well-established archaeological technique: if two artifacts are found in the same layer, they are likely of similar age. I have no reason to think the date is off in this case, but we need to recognize right off the top that if the olive pits and the shard ended up in the same layer for reasons other than that they were deposited at around the same time, the date could be way off. – It is true that this ostracon predates the Dead Sea Scrolls by up to 1000 years, if the dating is right. True, but irrelevant. The Dead Sea Scrolls are frequently invoked in reporting on biblical archaeology as a benchmark for ‘really old Bible stuff’, but in this case, it gives the misleading impression that what has been found is a lot older than other paleo-Hebrew writings, which is simply not the case. The Gezer calendar, which dates to perhaps 925-900 BCE (based on the paleographic style of the text), is the next oldest well-attested Hebrew inscription and is one of many, many paleo-Hebrew texts from the Iron Age in the Levant. This new find extends the history of the script back another 50-75 years, which is interesting – but it has nothing whatsoever to do with the DSS. – The claim that this would be the ‘earliest Hebrew writing’ is true but isn’t exactly saying what you think. There are any number of other inscriptions in Semitic languages from this period – for instance, there are Phoenician inscriptions from Byblos dating to around 1000 BCE. The text on the ostracon is apparently in Proto-Canaanite script, of which most of our exemplars are from the late Bronze Age (i.e., around 1500-1000 BCE), used to write any number of ancient Semitic languages, as the BBC article notes. So the script itself is not particularly unusual for the period, and doesn’t tell us anything we didn’t already know. – And this brings us to a significant issue: the ostracon hasn’t been deciphered yet. So how do we know it’s Hebrew? Well, the BBC tells us, “Preliminary investigations since the shard was found in July have deciphered some words, including judge, slave and king.” and that “Lead archaeologist Yosef Garfinkel identified it as Hebrew because of a three-letter verb meaning “to do” which he said was only used in Hebrew.” This is significant because it identifies the language as Hebrew as opposed to something earlier. This one word on an as-yet incompletely-deciphered ostracon is being used to assert that the writer was a speaker of Hebrew, therefore an Israelite, and therefore that this provides evidence for the Kingdom of Israel in David’s time (e.g. the early 10th century BCE). But we would do well to remember that this is very preliminary stuff. Also bear in mind that our corpus of proto-Canaanite writings is small enough that it is impossible to know whether this form of “to do” was only used in Hebrew, or whether it could have been used in earlier Semitic languages as well. – The claim is being made by several sources that this ostracon provides evidence for the historicity of King David. Not so. Rather, the claim is that the fact that there is such early writing demonstrates a high level of social complexity and a system of scribal education at the period. If true, this would tend to confirm that there was a large state in Israel in the 10th century BCE, and if one wished to associate that with the Biblical David, one could choose to do so without contradicting the evidence. The presence of words like ‘judge’ and ‘king’ in the text (if confirmed) would provide support for this position from within the text. This stands in opposition to the theory that the Israelites were more egalitarian and disunified at this period, as suggested by the heretofore pretty scanty record from the 10th century. If the latter were true, the Old Testament account would be open to more serious scrutiny; this new find doesn’t confirm the validity of anything Biblical, but rather doesn’t disconfirm it. And remember, this is one ostracon only, not an archive or even a small collection – so we have little idea of what it means. Rollston (2006), who is generally supportive of the argument that there was significant scribal education in Iron Age Israel, discusses many of the complexities behind inferring widespread literacy from the epigraphic/paleographic record. – On the same topic: Hello, journalists? Could I make a suggestion? Just because you are writing an article about Iron Age Israel and a purported connection with King David does not mean you have to invoke Goliath. Seriously. Especially you, Daily Mail, for citing this undeciphered clay shard as evidence that David actually slew Goliath. At least the Telegraph just presents the theory that the David-Goliath story is a metaphor for Israelite-Philistine conflict at the period. – One thing that is hardly mentioned is that the ostracon is the longest text in proto-Canaanite script yet attested. 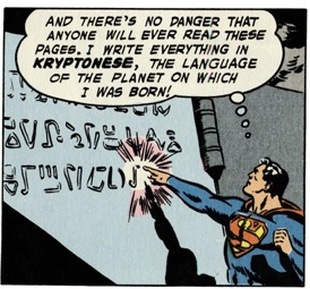 This could have important implications for our understanding of the script, once the inscription is read completely. Moreover, once it is read thoroughly, the paleographic letter-forms may actually tell us quite a bit about the date of the inscription, which could tend to confirm or refute the radiocarbon date. – It would be a mistake to ignore the implications for the historicity of the Iron Age Kingdom of Israel for modern national conceptions and ethnic identity in contemporary Israel. The idea that 3000 years ago, there was a strong, militarily powerful unified kingdom of Israelites in that area has enormous symbolic appeal, and is one of the more controversial issues in contemporary Levantine archaeology. This issue was behind the debate over the tenure case of Nadia Abu El Haj at Barnard/Columbia a couple of years back, centrally concerned with her book, Facts on the Ground (Abu el Haj 2001). In general, though, the presentation of the data is pretty good and the context of the discussion is generally sane. We have a lot still to learn, and I look forward to seeing the publication of the text in the hopefully not-too-distant future. Nadia Abu El Haj (2001). Facts on the Ground: Archaeological Practice and Territorial Self-Fashioning in Israeli Society. Chicago: University of Chicago Press. Rollston, Christopher A. 2006. Scribal education in ancient Israel: the Old Hebrew epigraphic evidence. Bulletin of the American Schools of Oriental Research 344: 47-74. There’s an interesting article in the New York Times on what is described as ‘elderspeak‘: the use of kindly but demeaning and belittling forms of address towards elders by medical professions. What isn’t discussed, as noted in Ozarque’s Journal, is that this register is essentially restricted to talking to female elders, and that it is not only the words used, but the variety of paralinguistic contextual information (body language, intonation, etc.) that makes this form of language use so odious. In the news from Near Eastern epigraphy, a bowl has been found at Alexandria dating between the 2nd century BC and the 1st century AD describing ‘Christ’ as a ‘magician’ (goistais). Or maybe it is describing ‘Chrestos’, a member of an association known as Ogoistais. The dating is broad enough to refer to either a pre-Christian or early Christian context, and probably we will never know any more than that. As someone who has studied Latin, one of my pet peeves is the notion that learning Latin (as opposed to learning any other language) is a key to academic success. I believe that the correlation between taking Latin and academic success is the other way around: bright, intellectually curious students take Latin, but were predisposed to academic success anyway. We have another article in the New York Times this week suggesting that thousands more students are picking Latin than in the recent past; I welcome the trend, but wonder whether these kids are taking the subject for the right reason.